There was the health insurance in the past two decades and the interpretation No. 753 is the eightieth about it. After being decreed, many median report it under the title “Fraud of Insurance by Hospital and Pharmacy is not Indictable Offence against the Constitution.” Even though the Interpretation No. 753 solved the problem of frauds of insurance with the view of the medium, it still not necessarily had the constitutionality at all, if it started with the person responsible for the medical institution. Due to the designated medical service is tangent to the right of life and of health, it should depend on the laws and orders based on the principle of the explicit delegation. 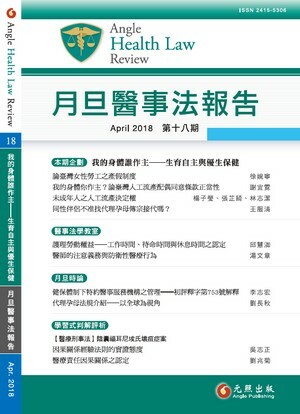 In this article are Organizations of the legal issues in the interpretation and Analyses with the criterions whether the legal empower was clear and definite, whether the regulations exceeded the empower of the superior law and whether the deduction with stopping the contract and the repeated punishments against the proportionality principle.